The Quantum Leap…. a tone toolkit of short delays. The QL offers lo res delays, flanging and chorusing effects as well as fixed comb filters – effects that are both great on their own, and also as an invaluable ‘companion’ to other analog or digital delays. By utilizing the same variable sample rate concept used in analog bucket brigade modulation, and adding custom analog anti-aliasing and reconstruction filters and companding, we’ve captured the essence of analog modulation and delays… in a small footprint, with advanced control features, and standard 9V powering. First used in the Memory Lane Junior, the Quantum Leap digital sampling engine’s sole function is to copy, delay, and reproduce the delay path signal with no mathematical manipulation at all* – and unlike standard audio codecs, there are no digital anti-aliasing and reconstruction filters. All signal paths around the sampling engine (direct path, feedback path, and everything before and after the digital sampler) are analog, paths carefully designed to provide a unique sonic signature that is unmistakably Diamond. 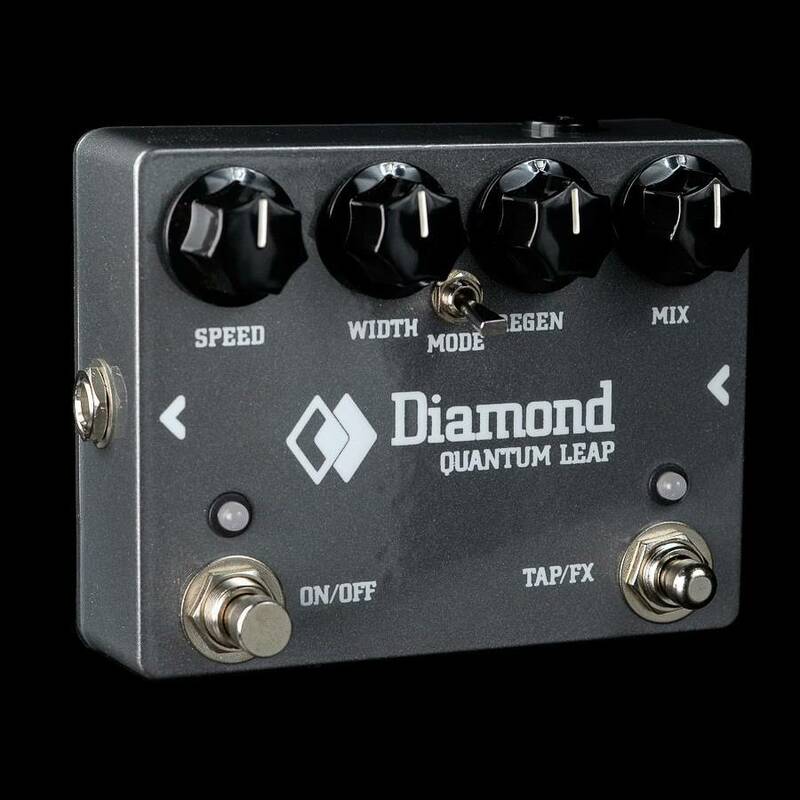 * well, almost no manipulation at all….in the QL’s Tap Delay mode there is a tiny bit of signal processing to get the delay ‘wash’ sound.